Trying to come up with a new topic for today’s blog, I ran across this WordPress Daily prompt and thought it was pretty interesting. On the interview show Inside the Actors’ Studio, host James Lipton asks each of his guests the same ten questions. – Making a connection with someone. When there is an instant bond and chemistry. – I love the sound of rain. Trains. Fiddles. – Any kind of alarm sound. It makes me panic. – I’m proud of you for living and loving with all of your heart, and moving through your fears. 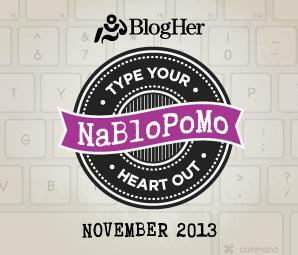 This entry was posted in NaBloPoMo, writing and tagged daily prompt, nablopomo, postaday. Bookmark the permalink.